"The Agua Caliente Band of Cahuilla Indians and the City of Palm Springs." Native Report (Season 5 Episode 2). WDSE/WRPT. Duluth, Minnesota. 2010. Television program. 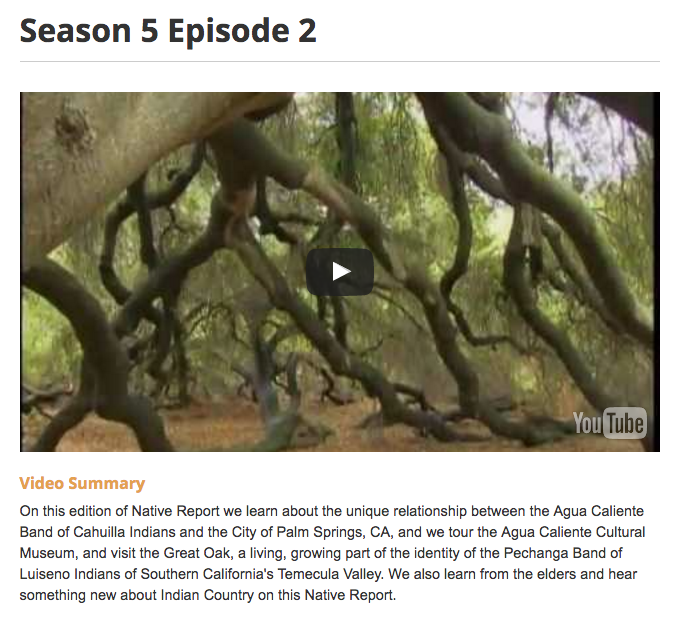 (http://www.wdse.org/shows/native/watch/season-5-episode-2, accessed September 19, 2012).